The many first-time voters appeared happy and excited as they exercised their franchise today. The youngsters came out in large numbers to participate in the process of decision-making. A college student, Juhi Sureka said that she was initially planning to go for a vacation to Goa. 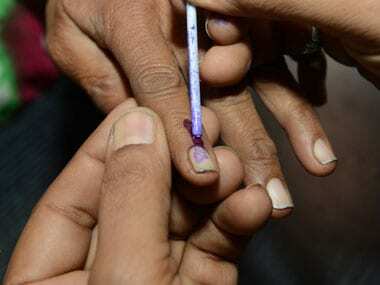 "But, I decided to call it off as I felt it is important to exercise my franchise to participate in the electoral process," said Juhi, a resident of Sion. Megha Diddi, a first time voter and a resident of Andheri (E), said that it is an opportunity for her to change the existing scenario of the country than simply blaming it. "I exercised my franchise today as I want the good person to go to parliament to representour issues," Megha said. Gaurav Mhatra, who works in an international bank, said that he missed the opportunity last time as his name was missing from the voters list. "But, this time, I voted as I don't want to miss the opportunity to elect a good representative," he said. "I feel happy about being one of the decision makers of the country who will have a say in the formation of a new government," Mhatre added. More than 1 lakh first time voters are in the city and over 2 lakhs are in the suburbs.